Carnahan, J. Worth. 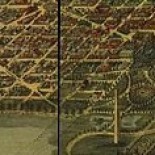 History of the Easel shaped Monument and a Key to the Principles and Objects of the Grand Army of the Republic and its Coworkers … Chicago: Dux Publishing Co., 1893. Carnahan, J. Worth. Manual of the Civil War and Key to the Grand Army of the Republic and Kindred Societies. Rev. ed. Chicago: The Easel monument association, 1897. Carol A. Grissom. Zinc sculpture in America, 1850-1950. Newark, University of Delaware Press, 2009. Civil War Print Brandon Vermont VT GAR Monument rare | #1881552497 https://www.worthpoint.com/worthopedia/civil-war-print-brandon-vermont-vt-1881552497 (example of a Easel Monument soldier’s record print. John William Oliver, History of the Civil War Military Pensions, 1861–1885 (Bulletin of the University of Wisconsin No. 844) (Madison, WI: 1917). Andy Waskie. “Easel Monument & ‘The Manual & Key to the Grand Army of the Republic and Kindred Societies.” Grand Army Scout N e w s l e t t e r o f t h e GA R C i vi l W a r M u s e u m & L i br a r y Winter 2014, p.9-10. District of Columbia. Board of education. Course of study. Charles Mason Remey. Observations of a Bahai traveller, 1908. Major-General George W. Davis, U.S.A. Red cross, its origin and development. District of Columbia. Board of Commissioners. Police regulations of the District of Columbia, as amended to June 30, 1910, inclusive. Hallie Irene Herriott. Jungle jingle book. Clarissa Olds Keeler. American bastiles. Members of the House of representatives of the United States. Sixty-first Congress. Swami Paramananda. Principles and purpose of Vedanta. E. Dunlap Trimble. Teachers’ art manual. Allan Potts. Fox hunting in America. Thomas Coates Stockton. Stockton family of New Jersey, and other Stocktons. Robert H. Beggs. Mystery of the Maine; an examination of public documents relating to the destruction of the U.S.S Maine. Charles Theodore Jewell. Book of the naval cadets of the class of ninety-two. Ivory George Kimball. Recollections from a busy life, 1843-1911. Emmeline Pankhurst. Speech of Emmeline Pankhurst, Columbia Theatre, Washington, D.C., Sunday, November 23, 1913. Eugene H. Bean. Rowan County (N. C.) records; early settlers. Francis G. Newlands. Senator Francis G. Newlands, his work. Association for the Prevention of Tuberculosis of the District of Columbia. Washington health rules, a commentary on the twelve health rules formulated and distributed by the Association for the Prevention of Tuberculosis of the District of Columbia. Herbert Janvrin Browne. Assessment and taxation in the District of Columbia and the fiscal relation to the federal government.